Celebrate the 4th with this video of actor James Cagney performing “Yankee Doodle Dandy,” a musical biography of George M. Cohan, called “The Man Who Owned Broadway.” Cohan performed as a child in vaudeville with his parents and sister, The Four Cohans. He went on to write, compose, produce, and appear in more than three dozen Broadway musicals. Do you still have the remnants of a Shubert theater where you live? 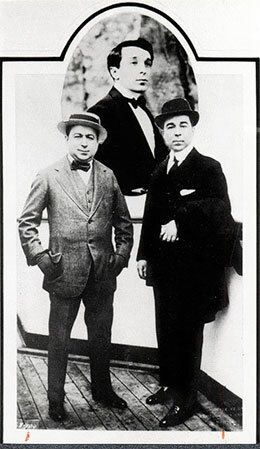 The Shubert Brothers took on the Theatrical Syndicate (Klaw & Erlanger), accusing them of “bullying tactics.” They set out to wrest power from The Syndicate. From the 1890s until the Depression, the Shuberts owned, operated, managed, or booked close to a thousand houses across the United States. Today, the Shubert Organization still runs 21 theaters (17 of which are on Broadway) and The Shubert Foundation supports not-for-profit theatre and dance companies throughout the United States. What do Charlie Chaplin, Bessie Smith, Louis Armstrong, Bob Hope, Ma Rainey, Mae West, Fred Astaire, and Gingers Rogers have in common with Liza Ketchum’s great-grandparents? They all started out in vaudeville! Join Liza at the Dorset Village Library as she shares the story behind the novel and its connection to issues that resonate today. All ages welcome! As Teresa and Maeve and Pietro set out on a road tour, vaudeville theater owners were trying to fill theaters across the country with good acts to meet demand. They needed talented people. 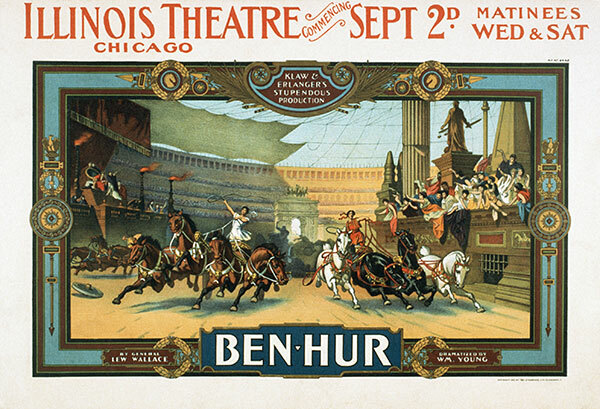 Klaw & Erlanger, an early syndicate, was responsible for this “stupendous production.” The six-act show premiered in 1899 and played around the world for the next 21 years. Can you imagine the number of actors and animals needed for each show? How many acts were needed to fill US vaudeville theaters? There were approximately 8 to 15 acts, each 6 to 15 minutes long, in each theater per day. Some theaters had “continuous” shows from mid-morning to 2:00 am! Every small town had some type of theater and larger towns might have three or four. 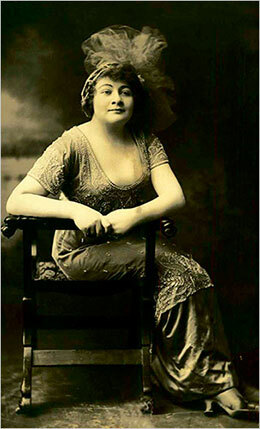 When Teresa walked out on the stage in 1913, there were more than 2,000 acts needed each day around the USA. 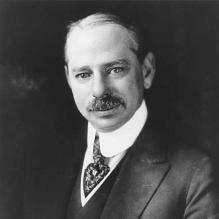 There are several good articles online that talk about the various theater owners, booking agencies, and labor unions. Fervent competition, underhanded blacklisting, and an ongoing struggle to control the market defined the experiences Teresa would have had as a singer. From the Theatrical Syndicate of 1896 to the Orpheum Circuit to the Pantages Circuit and the Western Vaudeville Managers Association, big money was involved and pressure was heavy on individual theater managers and performers. So much so that eventually unions were formed to protect the performers. If you’re interested in doing in-depth research, you may find the Keith-Albee Vaudeville Theater Collection at the University of Iowa to be useful. By 1908, vaudeville was such a big business that it made news in The New York Times when 75 theatres from Chicago to San Francisco agreed to become a part of the Klaw & Erlanger syndicate in quick succession. Two views of the article about the growth of The Syndicate here and here. Here’s more about Marc Klaw and Abraham Lincoln Erlanger. One of Vaudeville’s biggest syndicates was Klaw & Erlanger, led by Marc Klaw and Abraham Lincoln Erlanger. Speaking of Sophie Tucker, she would have been on vaudeville stages at the same time Teresa was starting out. Her story is one of an immigrant’s success. She was just a baby when her Jewish family moved from Russia to Hartford, Connecticut. Her family ran a boarding house for show people. When she took to the stage, she began on vaudeville, building an international career singing in English and Yiddish. Some of her most famous songs were “My Yiddishe Momme” and “Happy Days Are Here Again.” Her career spanned 63 years, from vaudeville to film to television. More about Sophie Tucker, born Sonya Kalish, a Russian immigrant, from The New York Times. 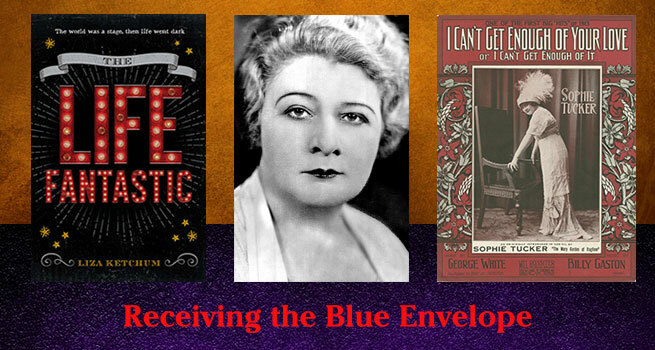 Learn more about Sophie Tucker. What kind of theaters would Teresa have performed in when she traveled with the troupe across country? 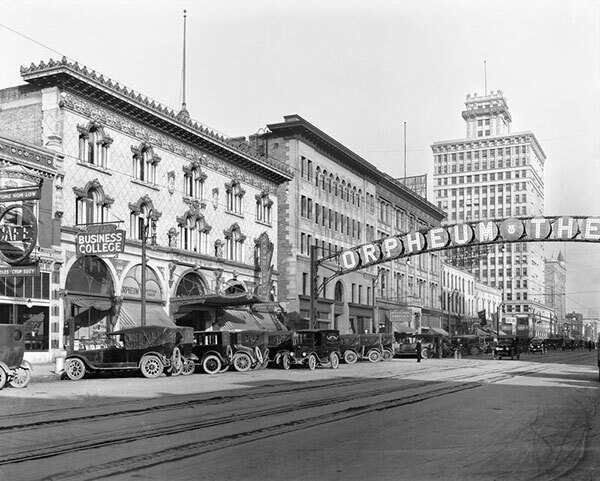 This Orpheum Theater in Salt Lake City, Utah, was brand new in 1913, the year in which The Life Fantastic is set. From publisher Signature Books, a photo from their book Seeing Salt Lake City by Alan Barnett. From penny arcades to vaudeville to major motion pictures, Marcus Loew was one of the early entrepreneurs of vaudeville. 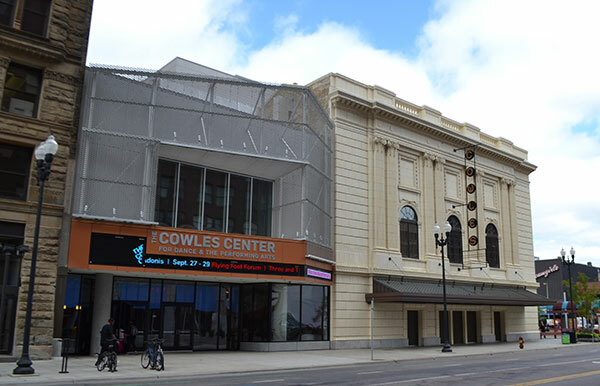 You may have a Loew’s theater in your home town to this day. Citation: Caso, Frank. “Marcus Loew.” In Immigrant Entrepreneurship: German-American Business Biographies, 1720 to the Present, vol. 4, edited by Jeffrey Fear. German Historical Institute. Last modified January 28, 2014. Read more about Marcus Loew at Immigrant Entrepreneurship, biographies of German American business owners. His life story is fascinating. The Life Fantastic is set in 1913, by which time the National Association for the Advancement of Colored People had established branch offices in such cities as Boston, Massachusetts; Baltimore, Maryland; Kansas City, Missouri; Washington, D.C.; Detroit, Michigan; and St. Louis, Missouri. They believed strongly in local organizing. When Pietro Jones discusses W.E.B. DuBois’ writing with Teresa, it’s likely that he was familiar with this organization. Learn more about the NAACP, which continues its work today.